Wow! Have I had a great week-end (and a bit). 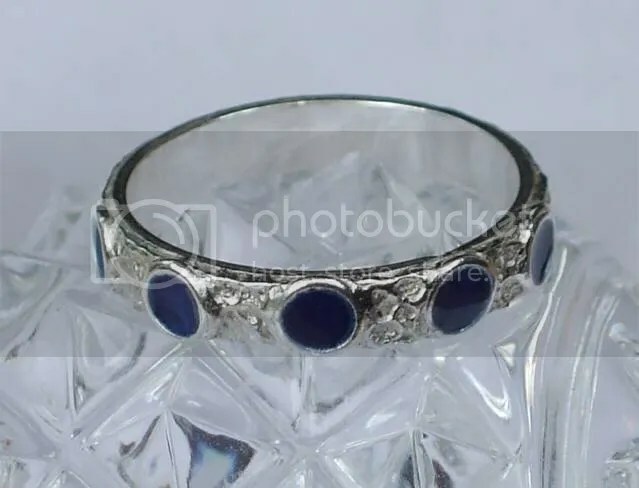 For a while now I have been toying with the idea of making some fine silver rings using pmc (precious metal clay) and building them on fine silver sheet metal ring liners. Now anyone who knows me will tell you that I won’t pay over the odds for something I can do myself – so I bought some fine silver sheet with the determination to make my own ring liners rather than buy them at twice the cost (plus postage of course!!) from some other supplier. 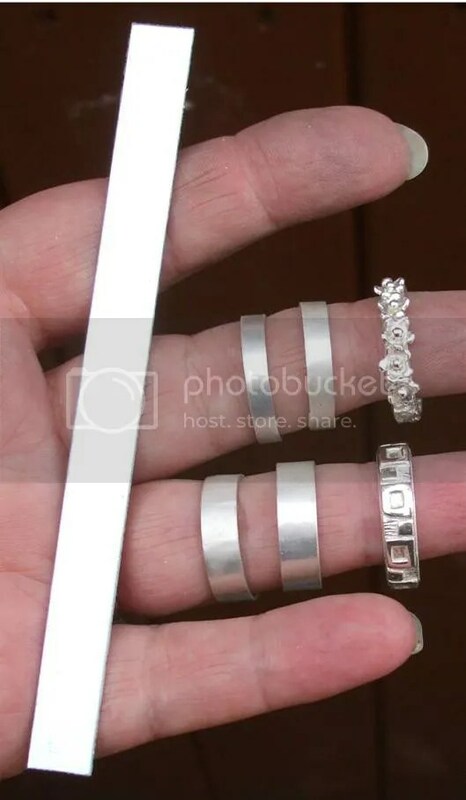 Over the weekend I had a go at making a couple of rings with the fine silver sheet – cutting, shaping and fusing the join – and made a pretty decent job of it – if I say so myself!! I then went on to produce two designs in pmc on these ring liners – and that really did make my day because they worked out so well!! …you see that one second from the left… inspired by the 40th anniversary of the moon landings – I felt my ‘moon craters’ needed a little something in them. I knew that I had some enamel powder somewhere – so I went digging around and found some transparent blue. 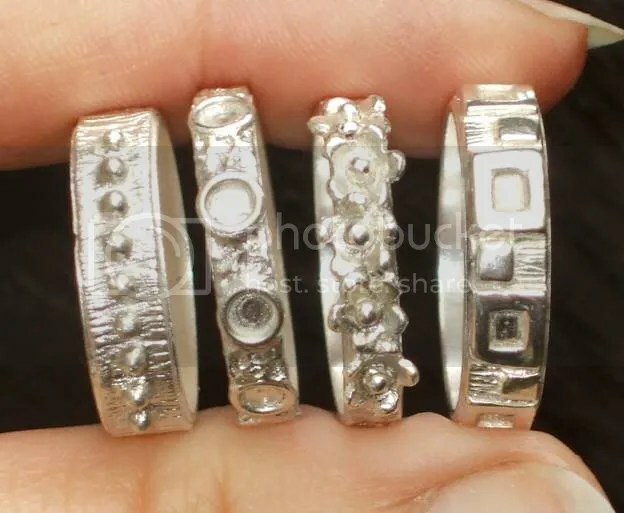 Now it has been a while since I last did some – not too successful – enamelling, but since these rings were only experiments for me to wear I took the plunge and filled my little craters with the enamel powder and popped the ring into the kiln. I’m really glad I went for it because I am just so pleased with the way it has turned out!! I can only get better with these techniques…I just need some practice…but boy! am I happy with my week -end’s work! !